Ben Clements is the Chair of the Board of Directors of Free Speech For People and Chair of its Legal Committee. He is also a founding partner of the Boston law firm, Clements & Pineault, LLP. His clients have included the state and federal governments, candidates for state and federal office, senior public officials, large corporations and small businesses. He is a former federal prosecutor and former Chief Legal Counsel to Massachusetts Governor Deval Patrick. John Nichols (Foreword) is the National Affairs correspondent for The Nation and associate editor of The Capital Times, the daily newspaper in Madison, Wisconsin, as well as a contributing writer for In These Times. 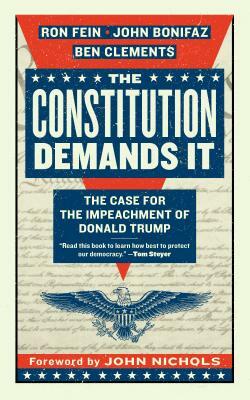 He is the author or co-author of numerous books, including The Genius of Impeachment and The Death and Life of American Journalism, and is a regular television commentator on political matters.